Gocek is one of the great places in Turkey to go sailing or crusing on a luxury yacht. It is is a well-known and beautiful yachting spot and is a favourite holiday destination for yacht charter enthusiasts. This bustling town is a favourite watering-hole of well-heeled tourists and celebrities. This charming yacht charter holiday resort is home to some 4,000 inhabitants and is known for its warm and friendly atmosphere. Gocek is just a short 15-minute drive from the International Airport in Dalaman and can be accessed in one hour if you are coming from Istanbul. Gocek is an upscale yachting destination and the top choice if you want to explore and discover an elegant mix of impressive cultural treasures and enchanting natural settings. What is most notable about Gocek is its strict adherence to rigid development and construction regulations that are geared towards the protection of the city’s rich cultural heritage and tradition. Despite being a mainstream tourist centre in the region, the main attractions of this popular yacht charter holiday destination are its archaeological structures and historical landmarks, which is well-preserved and protected. Gocek is originally a small farming village that transformed into an upscale holiday resort. The locals are still actively engaged in farming despite the heightened and fast-paced activities in the tourist centres. Local houses that are mostly located just a short distance from the resort’s famed promenade still have their verdant gardens where fresh vegetables are grown by the residents. The sidewalks along this section of the town is teeming with lemon, grapefruit, tangerine and orange trees, and this gives Gocek its unique panorama, a natural allure that is not usually present in other popular yacht charter destinations in Turkey. 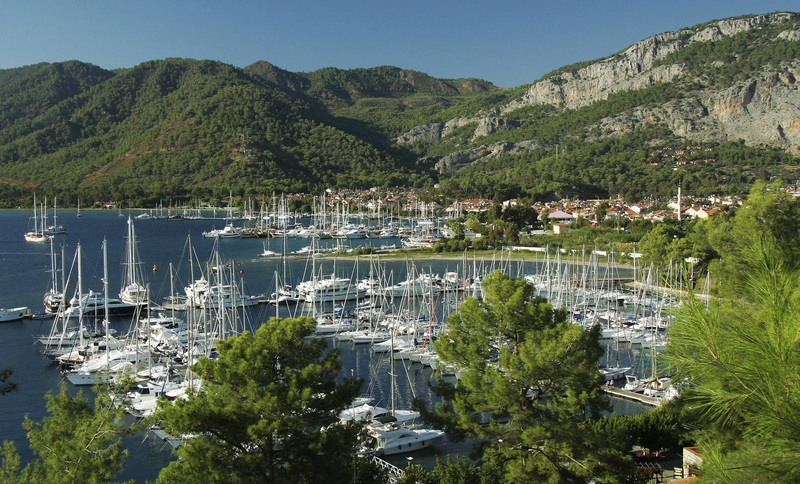 The view at the waterfront is indicative of the popularity of Gocek in yacht charter circles. 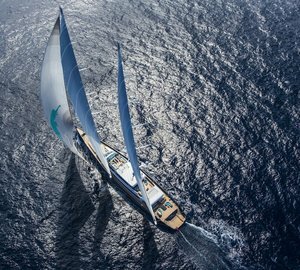 The entire bay and its 4 marinas are teeming with all kinds of boats, ranging from the ordinary dinghies to the impressive luxury yachts and superyachts. Just like in Fethiye and Marmaris, a typical holiday in the rustic town of Gocek is a journey to the storied past of Turkey. Yacht charter aficionados and regular tourists will have their hands full covering popular attractions and important destinations that feature archaeological structures and relics dating as far back as the Lycian civilization. Gocek is not your usual sprawling tourist centre and majority of shops and boutiques and other important establishments and facilities are concentrated on a particular stretch of road that traverses the town. It is along this main street where you can find the 3 main supermarkets of Gocek as well as an array of clothes boutiques, gift shops and bazaars, outlets for sailing provisions. This is the main reason why most sailors go on a whistle-stop in this town for their yachting resupply. Dining experience in Gocek is generally eclectic. Fine restaurants and other food venues serve a wide range of local dishes as well as international menus. Gocek is also home to an array of food outlets that specialize in Turkish cuisine, local pastry shops and the ubiquitous food shops that offer delectable pitas and kebabs. In close proximity to Gocek are a number of exciting sailing destination.